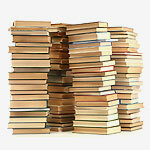 We have been providing expert book scanning services in London and throughout the UK for over 16 years. Within our scanning bureau, we take exceptional care in handling your books, while we scan them and convert to any digital formats, such as Microsoft Word, TIFF, PDF Searchable, Amazon, Apple etc. Whether you are looking to simply digitise your book and convert it to PDF, digitise a big collection of books for digital archiving or possess a rare historical book that needs preserving, we have the infrastructure to fulfill any requirements. Depending on individual requirements and type of books, we can digitise them by using either a destructive or non-destructive digitisation method. Destructive is the most commonly used book scanning method. Before the scanning takes place, the binding of the book is carefully removed, by using a professional guillotine machine, which allows to free up the pages and scan them with a specialist book scanner, up to A0 size. Non-Destructive book scanning is best suited for books that are valuable and non-replaceable, as the book is kept completely intact throughout the whole scanning process. 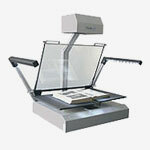 For this method we use specialist overhead scanners, that allow us to safely scan books in size of up to A2. By using Optical Character Recognition (OCR) software, we can make your books fully text searchable and editable. The advantages of using OCR for your scanned books is that it will be easier for you to find your favourite book every time. Gives you the opportunity to sell or republish your written work in an online format. With having digital formats, you have the possibilities of editing and re-editing your work at any time. To have your favourite book safe and secure as a digital copy. Makes your process easier to share your books and magazines with whoever you like. Giving yourself instant access to your favourite titles wherever and whenever. From digitising your books, manuscripts, journals, etc. This enables you to archive or preserve any collection you have. Really impressed with the whole team’s efficiency, communication was so responsive. Pearl provided an efficient and reliable service, from quotation to service delivery. An excellent service, at an affordable rate. We often inherit old hand drawings of churches and spend considerable time digitising them for our use. Competitively priced, friendly and timely. Collected all the documents without fuss and returned the indexed scanned copies in a simple usable format. Their pick up and return service makes them so easy to work with and the quality of the data sent back is as error-free as any database I’ve seen of this type. We used Pearl Scan to digitise some old existing drawings held on aperture cards. These proved very useful to the project that we were working on. Very satisfied. Pearl Scan provided us with quality files from the books we supplied. Also given the opportunity to review the files before approving them. A good service! We found Pearl Scan Solutions an extremely professional organisation to deal with. From start to finish we encountered a hassle free process. Excellent company who scanned my two books so that I could edit them for my publisher. No hitches and everything was smoothly handled. Reliable service, fast delivery. Can recommend. We are backed up by external quality and security audits. Our operations have been audited and approved by many NHS, Local Authorities, Private blue chip companies and we pride ourselves on the high levels of quality and security we provide to each and every one of our clients. We have over 15 years of experience providing scanning services for some of the most reputable companies in the UK including blue chip companies and organisations as well as small businesses and private individuals. Some of our past clients have included NHS, local government Manchester Metropolitan University, Manchester University, Aviva, BBC, Sky, Metropolitan Police, Environment Agency and many more. 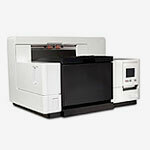 We operate from a custom built scanning bureau focussed on security, safety, confidentiality and scalability. The main building is monitored by Red Care security systems and has 24 hours internal and external CCTV. We are more than happy for you to come and visit our premises so we can show you how safe your documents are with us. Our scanning bureau is fully equipped with state-of-the-art dedicated scanning hardware catering for a wide range of document types and sizes making us a one-stop service for your scanning and digital conversion cycle. We upgrade our scanners to keep in line with the latest scanning technology and ensure we are providing the best possible scanning service at all times. We have the infrastructure to support small-to-large, quick-to-long term scanning projects and with a capacity to scan 10 million images per month. This scalability provides a great deal of flexibility with the services we offer meaning we can tailor all of our services to suit the needs of each client and we will always try our best to accommodate any request.